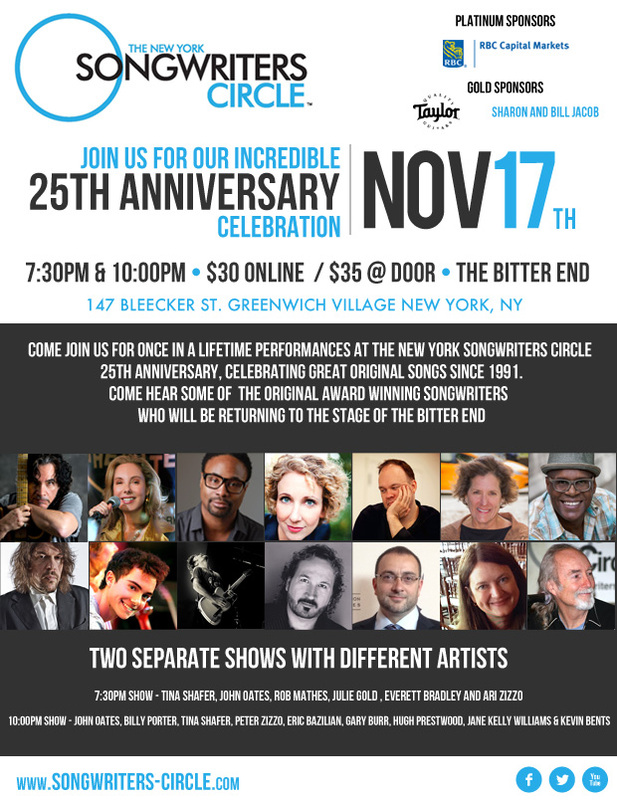 You will hear some of the original award winning songwriters who will be returning to the stage of the Bitter End 147 Bleecker street. Ticket Holders will receive a colored bracelet at the venue corresponding to their ticket choice. If purchasing tickets for both shows, a special band will be distributed.